Passing eye tests "not a guarantee of safe driving"
Much has been made recently of the need for drivers to have good vision if they are to ensure that both they and other motorists are safe on the roads, but a new study has revealed that even people who pass standard vision tests may still be a danger to other road users and pedestrians. According to a study by experts at the School of Optometry and Vision Science and Institute of Health and Biomedical Innovation at Queensland University of Technology, just because a driver has passed the motor vehicle administration's vision test it does not entirely mean he or she is safe to drive. This is because the frequency and distance at which drivers with moderate levels of blurred vision and cataracts recognise pedestrians at night is severely reduced, even if they have passed the required vision test. Study author Joanne Wood said optical blur and cataracts are "very common", and lots of people with these conditions continue to drive. "The aim of our study was to better understand how these visual conditions affect the ability to recognise and respond to roadside pedestrians at nighttime," she noted. Another objective was to determine whether certain types of pedestrian clothing could improve the ability of a driver to recognise pedestrians at night, even when the driver had some level of visual loss. In the study, which was published in the Investigative Ophthalmology & Visual Science journal, 28 young adult licensed drivers with vision of 20/40 or better vision were assessed using simulated vision problems. Each drove at night on a closed road circuit wearing simulated refractive blur and cataract lenses, with pedestrians at the roadside wearing one of three different type of clothing - all black, all black with a reflective vest, and all black with reflectors on their wrists, elbows, ankles, knees, shoulders and waist, which simulated human movement. The researchers asked 16 of the 28 participants to detect the pedestrian against simulated headlight glare, with the results showing that cataracts were significantly more disruptive than blurred vision. Motorists with simulated blurred vision realised that a pedestrian was present 52.1 per cent of the time, while those with simulated cataracts recognised pedestrians just 29.9 per cent of the time. Scientists also found that pedestrians wearing the reflective strips to create the biomotion condition were far more visible to drivers - being seen 82.3 per cent of the time – compared with those wearing all black (seen 13.5 per cent of the time). None of the drivers with simulated cataracts recognised the pedestrian who was wearing black, regardless of whether glare was present or not. Ms Wood said the results show how these impairments reduce the distances at which drivers first recognise the presence of pedestrians at night. Overall, drivers with normal vision recognised pedestrians at longer distances - 3.6 times longer than drivers with blurred condition on average, and 5.5 times longer than drivers with cataracts. She noted that the results have "important implications" and suggest that, in order to maximise drivers' ability to see pedestrians from a safe distance, they should wear their optimum optical contact lenses and glasses and cataract surgery should be performed early enough to avoid potentially dangerous driving conditions. 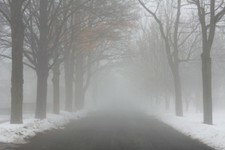 "Future studies should further explore the impact of uncorrected refractive error, cataracts and other forms of visual impairment on driving performance and safety as well as determining the value of some relatively new ways to measure visual abilities, such as straylight testing and contrast sensitivity," the expert added. Ms Wood concluded that measuring visual acuity alone does not provide the best way to determine which people are safe to drive.